Collagen is the main structural protein in our bodies. For context, our bodies are nearly 20% protein, with 30% of that protein made up of collagen. Collagen is found in the bones, skin, muscles, tendons, blood vessels, and the digestive organs. In the skin, collagen provides elasticity and replaces dead skin cells. 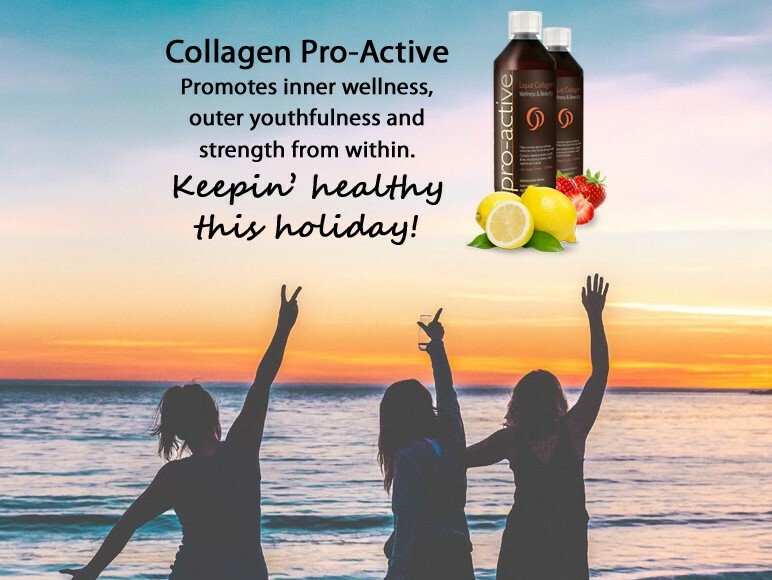 Pro-Active is a clinically-proven Liquid Collagen dietary supplement that contains a specific type of liquid collagen, rich in specific amino acids that are easily absorbed by the human body. It helps to improve joints, cartilage, bones, muscles, skin, hair and nails. Pro-active Liquid Collagen is a unique dietary supplement of premium quality that helps promote optimal wellness and beauty. It contains essential amino acids and key structural proteins with vitamins and minerals. Available at Lasermed. 2018-12-11T16:23:13+00:00	By [email protected]|Categories: Latest global snippets|Comments Off on Why collagen?